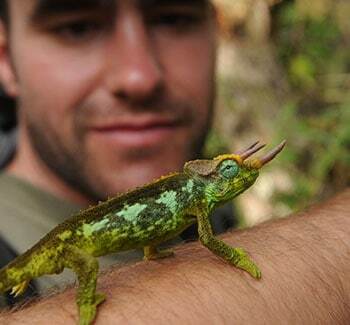 On arrival to Kilimanjaro Airport you will be transferred to your hotel. You will have your climb briefing this evening. This morning you will be transferred to the Rongai trailhead to begin your Mt. Kilimanjaro climb. Vehicles take climbers to the gate at 1800 meters at the entrance to the forest. This is a journey of around 2 hours from Marangu. From here, a 3 to 4 hour walk, gradually ascending through the forest to the camp which is just clear of the forest at 2800 meters. First camp to Kikelewa cave. 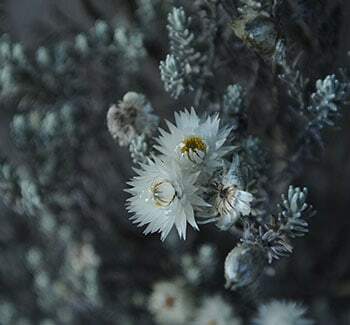 The path goes through Alpine moorland, similar to what is found on the Marangu route, to Second Cave at 3500 metres. After a lunch stop here, the path forks left towards Mawenzi. After another 3 hours, Kikelewa Cave is reached, at 3690 meters. Total time is about 6-7 hours. Total distance is about 15 kilometers, so this is really quite a long day, although most of the altitude gain is achieved in the first half of the day. Kikelewa Cave to Mawenzi Tarn. 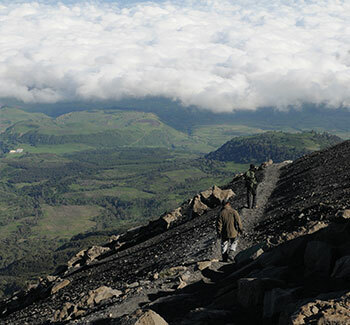 The path climbs up a steep ridge directly towards Mawenzi. At the top of the ridge, the path turns left and traverses across rocky landscape and then descends into the Tarn Valley where camp is made at 4320 meters. The distance covered is only about 5 kilometers but this usually takes about 3 to 4 hours because of the steepness and altitude. 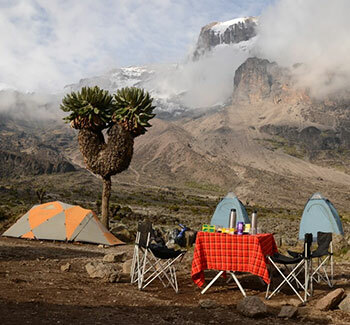 Mawenzi Tarn to Kibo Camp. 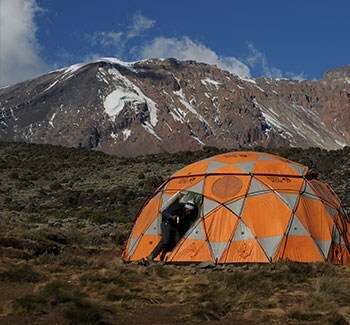 Climbers retrace their path of the previous day for a short distance, and then descend to the Saddle between Mawenzi and Kibo. 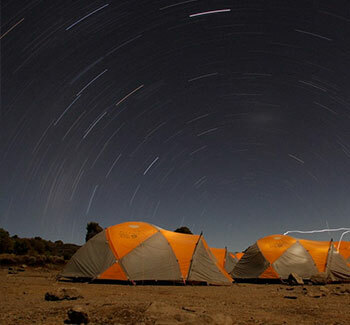 There follows a 6 kilometer walk across the gradually ascending high altitude desert to Kibo Hut. Camp is made close to the hut at 4700 meters. Total time is about 4 to 5 hours. Make an early start for Uhuru some 6 hours away, eventually reaching the edge of the Kilimanjaro saddle, a strange moonscape sloping gently towards the great cone of Kibo. 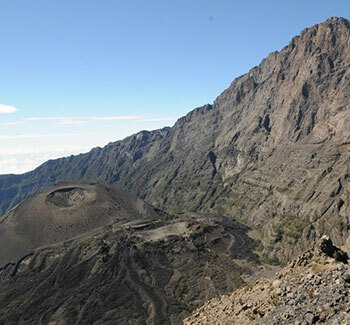 We continue round the crater rim to the peak Uhuru. After the exhilaration of reaching the top of Africa we continue down the eastern slopes of Kibo taking the most direct and swiftest descent route to Horombo hut (3720 meters). Descend to Marangu. As you exit you will be met and transferred to the Springlands Hotel.